I keep some of these photos in a scrapbook as a sort of "inspiration" for my radio drama. I have been trying to write a radio drama for some years now. It is about a small town and how they come to film a movie there. The story is mainly about gossip. How gossip works in a small town; how it can hurt people; and how people can get healed from it etc. 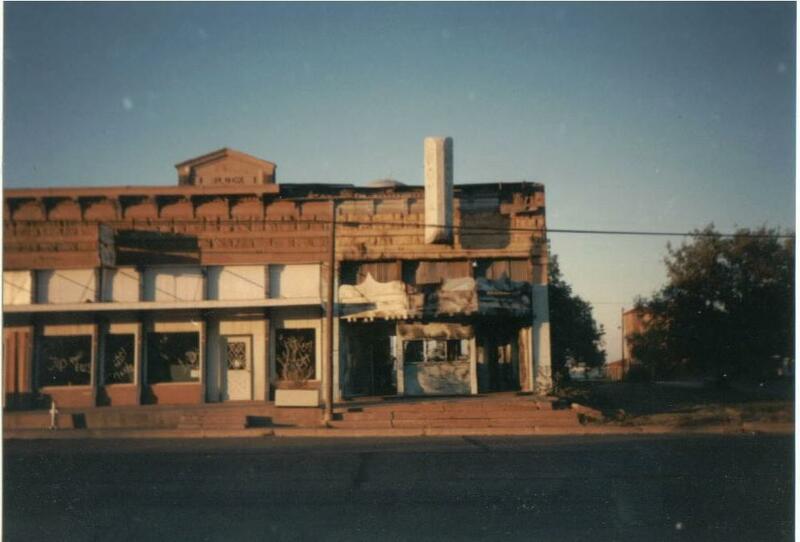 I was in and around Archer City, Texas in 1989 when they filmed, the movie, "Texasville". That is the sequel to the famous movie, "The Last Picture Show". Article about Anarene, Texas. "The Last Picture Show" from the IMDB. "Texasville" from the IMDB. "The Last Picture Show" (Royal Theater) in Archer City, Texas. The "Royal Theater" website. About "Picture This: The Times of Peter Bogdanovich in Archer City, Texas" from the IMDB. Larry McMurtry from Wikipedia. There's also a couple "related" photos from our Texas Trip of June of 2005. I stuck them on this page. 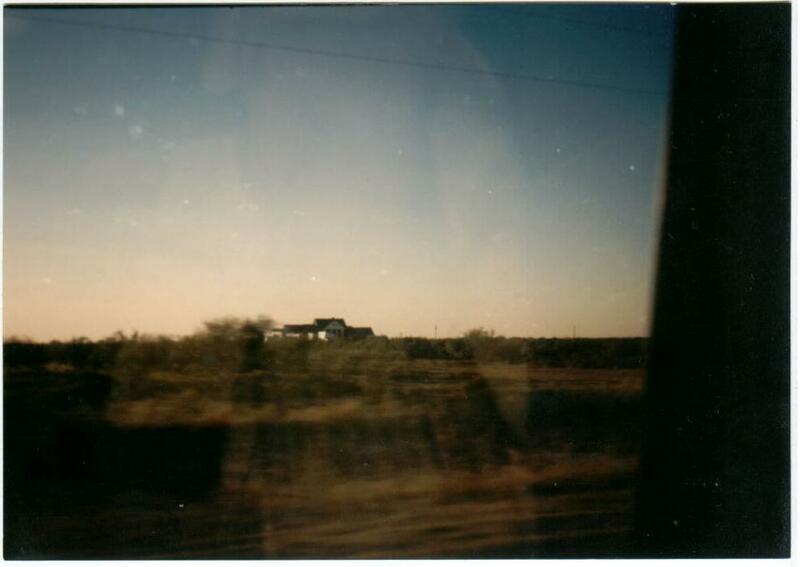 They are the two photos of Graham, Texas below. It is tradition to keep this photo in the little scrapbook. Douglas sent me this roll of film when he was in the Navy. His father had gotten him a loaned camera from the family. He sent me the roll and said, I don't remember what I took pictures of. Don't know what came out as the camera broke. 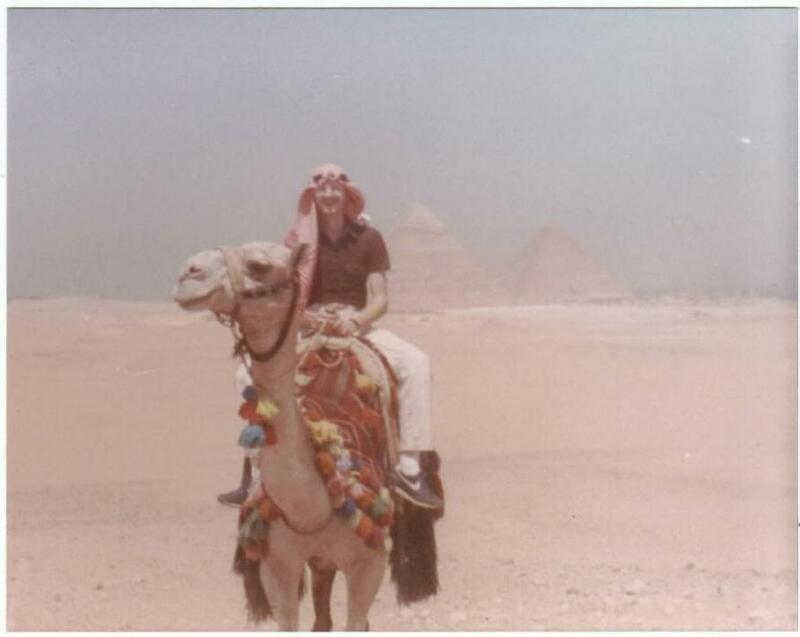 This is in Egypt with the Pyramids behind him. I was a little envious. But then I thought about it and wondered if I could stand to have my feet that high off the ground. "The one of this I have has blue sky. You'll have to take me on a camel ride someday. Maybe we can raise them?" 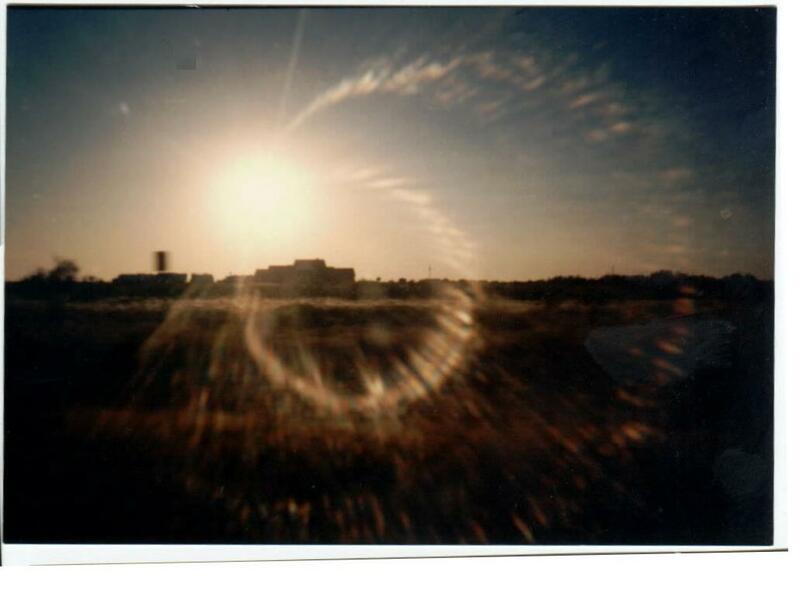 Archer City, Texas about September of 1989. I had just gotten married. I was staying a month with my family. This is the water tower from the car. Archer City, was "standing in" for Anarene. Of course, the story originally took place in Archer City, but in the book/movie it was called, Anarene. They couldn't get the letters to stay on the watertower. It does say Archer City underneath. This isn't a real convenience store. It has all the stuff that would be sold in one though. It is all "done up" for the movie. This is the house where they filmed a good bit of the movie. One of the female leads stayed here. "They" added a fake wing to the house and a swimming pool. Trees were also planted up the drive. If you can't tell there are trucks up at the house. They were filming at this time. I tried to get a photo from a moving car. More filming at the house. I mostly got the beginnings of an incredible Texas sun set. If you look "real hard" you can see the trucks. This is the Royal theatre as it looked during filming. I think they filmed some scenes at the Dairy Queen in Archer City. I don't know if they were filming there when I took this picture. They were probably filming out at the house. (As we just came from that direction and I would have taken the other photos then.) 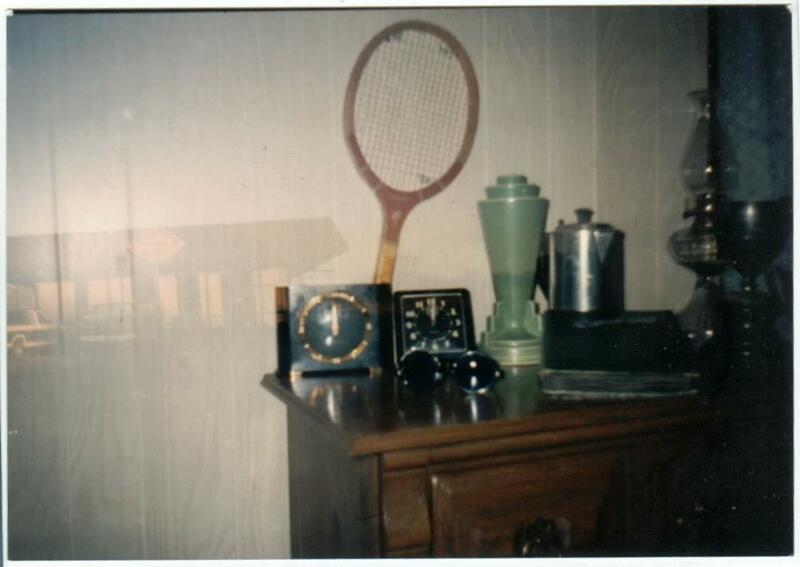 This is double exposed with a dresser in Littlefield, Texas. I tried to put a still life with some of my belongings. You can see the Japanese scrapbook on there. I still have most if not all of the things you see. I don't know how this photo "happened". You would think that the Dairy Queen would have come out better since I took it first. This was the last picture on the roll. We went to Graham One Day. It was fun. I took some photos of the down town area for “inspiration” for my radio drama. My radio drama has a “town square”. I thought having pictures of a “town square” to look at might help me finish the drama finally. I just realized that the whole side of this building is a “trompe l’oeil” mural. This one is full of coincidences!!!! This has the distinction of being the only __________ in the nation or west of the Mississippi. My stepmother couldn’t remember exactly what it was. 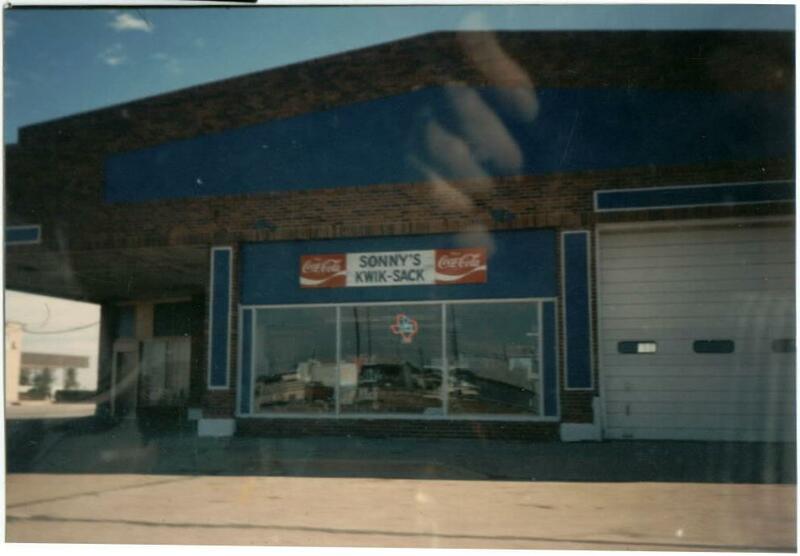 It is on the “National Register of Historic Places”. Why, I don’t know. Anyway, it looks nice. Next door is “The Last Pizza Show”. 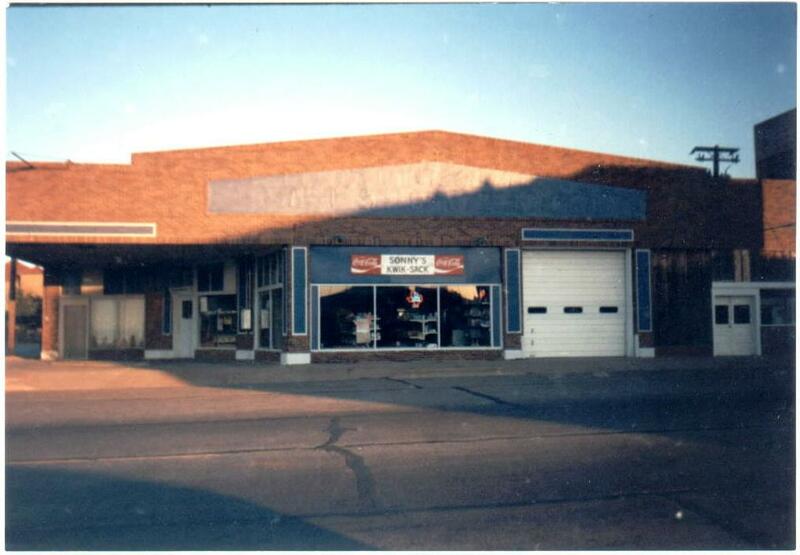 We aren’t too far from Archer City, which served as “Anarene”, when they filmed, “The Last Picture Show”. Funny thing these buildings are on “Oak” Street. The town in my radio drama has an “Oak” Street that is very much like a “Main” Street. I had no idea that one of Graham’s “main” streets, was “Oak”. 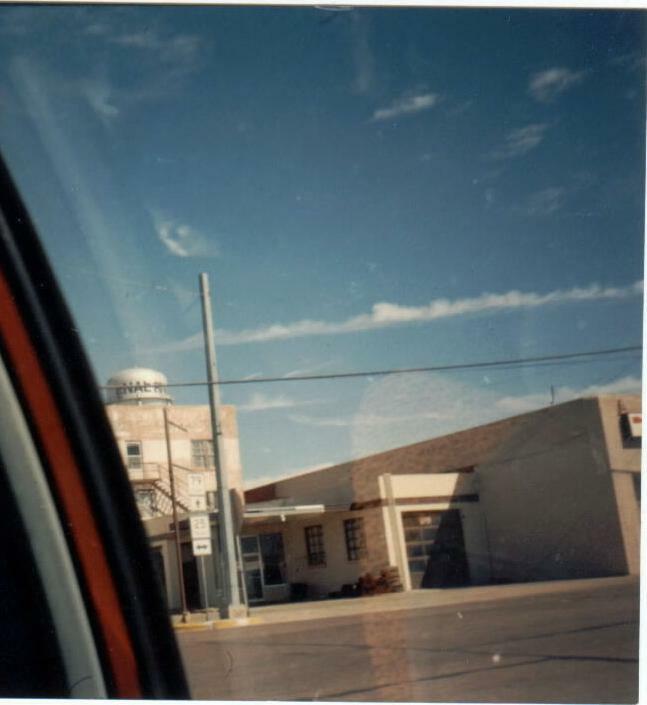 Then my radio drama sprang from conversations I listened to during the time they were filming “Texasville” in and around Archer City. Especially “inspiring”, were the conversations I overheard while I waited as my sister was having her hair done in Wichita Falls.